A well-paced journey of progression, allowing you to fully absorb, integrate and explore the teachings week by week. It’s also the ideal option for Yogis who are only able to attend either evening or daytime units. Your course involves one 5-hour unit per week (choose to attend either Wednesdays 10am – 3pm or Thursday evenings 5pm – 10pm) along with 5 hours of weekly home study Q&A’s. Additional consideration should also be given to the time involved in completing the course’s 2 assessed written assignments, the planning and teaching of several public classes in the latter half of your training, and for development of your own practice (minimum 2 vinyasa classes per week). Designed for Yogis wanting to dedicate themselves to a more intensive journey of transformation, the full time option allows you to immerse in a concentrated period of study and development to become ready for teaching within 6 months. Your course involves two 5-hour units per week (attending both Wednesdays 10am – 3pm and Thursday evenings 5pm – 10pm) along with 10 hours of weekly home study Q&A’s. Additional consideration should also be given to the time involved in completing the course’s 2 assessed written assignments, and for the planning and teaching of several public classes in the latter half of your training, and for development of your own practice (minimum 4 vinyasa classes per week). DOWNLOAD YOUR FREE INFORMATION PACK NOW! The Certificate of Yoga Studies provides an alternative option that enables you to create your own learning experience by choosing to study any 10 units from the 40 covered in the full Moksha Academy of Yoga Teacher Training course within a 6 month period – ideal if you’re wanting to deepen your practice and knowledge of yoga without committing to the full YTT course (though these hours are recognised should you choose to complete your accredited teaching qualification with the Moksha Academy in the next 2 years), or if you’re already a qualified Yoga Teacher wanting to further your development in selected areas not thoroughly covered by your original training. 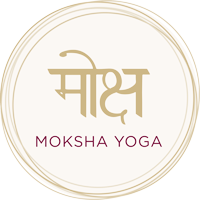 As a Moksha Academy of Yoga trainee undertaking any of the above course streams you’ll also receive FREE unlimited access to all classes at our Bentleigh studio for the duration of your studies – giving you the opportunity to immerse yourself in your own yoga journey, apply your learnings and lead by example in your teachings. Our July 2019 trainings commence 17 & 18 July – Early Bird Rate ends 15 June! Pay in full before our Early Bird rate for your chosen intake closes to receive 10% off – saving $700. For successful applications received after the Early Bird rate has closed, full course payment is due 7 days after your Letter of Offer has been emailed. * Please note that a non-refundable deposit of $1,000 is payable within 7 days of your Letter of Offer. Payment of the deposit confirms and guarantees your place on the course for your chosen intake. For detailed pricing information, please download our full Information Pack below. Why is the course so comprehensive? A: The level of understanding involved in truly supporting the needs of all students, delivering classes of real depth and standing out as an accomplished teacher straight away cannot be underestimated! A: The course is designed around building confidence before you go out to teach on your own; moving beyond the nerves we all face at the outset by practicing teaching in a warmly supportive environment. What do other graduates say? A: Our proud Moksha graduates have plenty to say about the life-changing journey to becoming such skilled, passionate and highly respected teachers within the yogashpere. Read their stories. A: Our training is based around the vinyasa krama – a varied, flowing, balanced and intelligently sequenced style that allows the full benefits of yoga to be deeply experienced at every level of a student’s being. Where can I access full details and policies? A: Full information on course content, structure, assessment criteria, required reading, relevant policies, terms and conditions are all covered within our Information Pack. Receive your copy via the form below. A: An application kit is included in our Information Pack. It’s also required that you’ve had a consistent yoga practice for the last 12 months, and bring a dedication to develop as a teacher and student of yoga. Enter your details below to receive your full Information Pack for the Melbourne Yoga Teacher Training course, complete with an application kit, instantly delivered to your inbox. Thank you for your interest in Yoga Teacher Training with the Moksha Academy of Yoga – we’re excited about what may lay ahead for you! There’s nothing quite like the opportunity to meet us face to face, ask all the questions you may have and get a first-hand feel for how your teacher training journey would be with the Moksha Academy of Yoga. You’ll also receive a complimentary 7-day pass to experience the style, energy and philosophy of our Moksha Yoga classes for yourself.